Students are introduced to a class structure, age appropriate stretches, coordination exercises, and rhythm through a safe and special experience with mommy. Added benefits for mom are increased flexibility, balance, and bonding time with your little dancer. 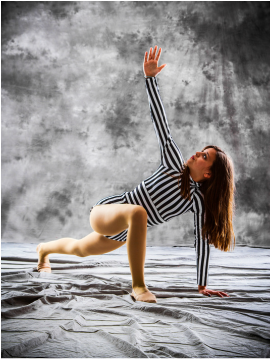 This class also encourages independence for your child as he or she explores the world of dance through creative movement & social exercises with other dancers. This class is targeted for children ages 3-5. Students will learn basic tumbling skills while working on hand-eye coordination & balance. While in class we incorporate Balance Beam drills, Across the floor tumbling & trampoline exercises. A beginner Dance class that incorporates Ballet movement. This is for first year dancers ages 3-5. This class is a continuation of Creative Dance 1. It includes Ballet Movement & introduces beginner Tap Technique. Dancers must have 1 year of previous training. This is the next level after Creative Dance 1 & 2. Students must have 2-3 years previous training in Ballet and are 5 to 7 years of age. This class will now include Jazz Technique. A Continuation of our Level Classes that increases in difficulty. Students must have 3-4 years of training in Ballet and 1 year of Jazz. This is the next level for students who have completed levels 3-5. 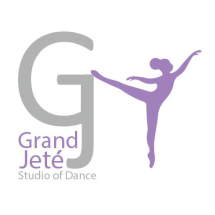 This Combination class will consist of 30 minutes sessions of Ballet and Jazz. Students must have 5-6 years of training in Ballet and 3 years of Jazz. This level will no longer be a combination class. Each class will now become a separate program with increased levels of difficulty. Ballet will be a 60 minute class and Jazz will be a 45 minute class. Students must have 6-7 years of training in Ballet and 4 years of Jazz. A continuation of our Intermediate Level Program. Ballet will be a 60 minute class and Jazz will be a 45 minute class. Students must have 8-9 years of training in Ballet and 6 years of Jazz. This is the next level for students who have completed all Intermediate Levels. 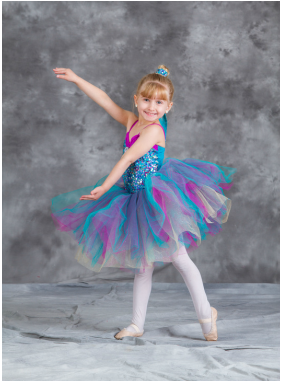 Students can choose a variety of different classes from Ballet, Jazz, Lyrical, Contemporary, Modern, Theater & Tap. Must have 9-10 years of training in Ballet. A continuation of Junior Level. Must have 10-11 years of training in Ballet. This is our highest level of dance training. This level is required to take Ballet & Technique classes. Must have 11+ years of dance training. Tap Technique is taught with concentration on musicality, precision, improvisation, and rhythm. Tap was learned as a musical art form and will explore cross rhythms, syncopation, and call and answer techniques. The program offers a dynamic style of high energy dance. This class focuses on Turns, Technical Movements, Leaps & Flexibility. Jazz has varieties of different styles all in itself including Swing Jazz & Jazz Funk just to name a few. Ballet is the backbone of all dance styles. To excel in other styles of dance, Ballet is a must. Barre Work, Center exercises & across the floor variations are the main focus of this style of dance. This classes is offered starting from Creative Dance to our Senior Levels. Pre-Pointe is a Ballet strengthening class for ages 10+. This class focuses on ankle and strength exercises for students who want to begin Pointe Training. Ballet based form of dance. Must Complete Pre-Pointe & be recommended for Pointe Classes. We offer Beginner to Advanced levels. Students must take a regular Ballet & Technique class in order to be put up on Pointe. Lyrical dance is very similar to ballet, combining the technical elements of classical ballet with the freedom, fluidity, expressiveness and airier aspects of jazz, contemporary and modern dance. Lyrical dance is expressive. 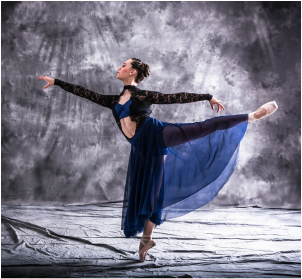 Contemporary dance is a style of expressive dance that combines elements of several dance genres including modern, jazz, lyrical and classical ballet. Contemporary dancers strive to connect the mind and the body through fluid dance movements. Contemporary dance stresses versatility and improvisation, unlike the strict, structured nature of ballet. Contemporary dancers focus on floorwork, using gravity to pull them down to the floor. This dance genre is often done in bare feet. This is a free motion form of Dance. Students will learn Contraction, Flat back, swinging Movements & Under Curves. They will learn different Modern Techniques like African, Martha Graham, & Horton. This Class focuses on Broadway Education. This includes Acting, Singing & Dancing Technique. This class will also learn improv skills & act out scenes from Broadway Shows in class. Our instructors also touch base on audition techniques & sheet music. An upbeat class that helps develop muscle coordination. This class will learn different Variations of Hip Hop Including, Old School, Basic Breaking, Popping, Tutting & Sharp movement. This is not like a Jazz Class, it involves floor work, foot work & isolations. This class focuses on Tumbling Technique & Flexibility. Students will work at their own pace to excel in class. We offer Beginner Levels to Advanced Levels in Gymnastics. This class is where students develop flexibility, balance, strength, muscle control, discipline & concentration. This class will focus on fundamental acrobatic technique as well as dance technique and Contortion. Students will learn such things as handstands, chin stands, elbow stands, back bends, walkovers, balance, contortion and Partner Tricks. Students must take a regular dance class along with Acro. These classes are 1/2 hour to 45 minutes long. Students must be enrolled in a regular weekly class.